For centuries people left old worlds for a new life in Wisconsin. Facing unfamiliar landscapes and languages, they blended the old with the new and established farms and communities. Welcome to the world they created. Welcome to Old World Wisconsin. You are about to embark on your own adventure! Walk in the footsteps of the people who came to call Wisconsin home. Explore their farms, gather chicken eggs, attend a one-room school, visit with the village blacksmith and more! The Weekend Experience is offered Saturday-Sunday during Spring and Fall and Friday-Sunday during the summer season. Purchase your tickets today. Take a spin on a 19th century tricycle or peddle a High-Wheeler, the first machine to be called a “bicycle”! Roll up your sleeves and help with 19th-century chores and farm work, just remember, there’s no electricity allowed!  Attend lessons in a one-room schoolhouse and try your hand at the tools that helped pioneers survive on Wisconsin’s early frontier.